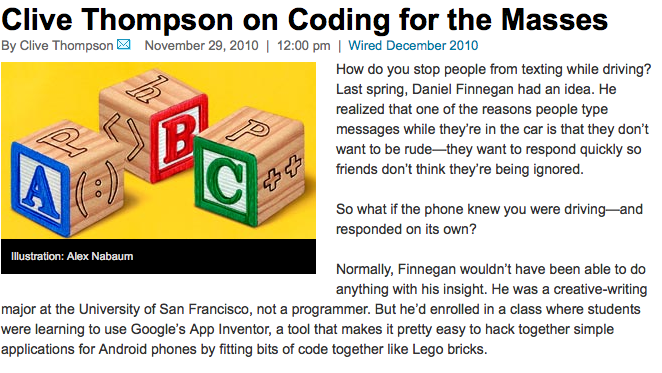 Clive Thompson of Wired Magazine featured a USF student project in his article, Coding for the Masses. The article features Daniel Finnegan and his No Text While Driving app. You can check out a refined version of the app as a tutorial on the App Inventor site, and check out a screencast of how to build it on my App Inventor youtube list.